This Work Package is led by Dr Maria Loane (Ulster University) and Dr James Densem (Biomedical Computing Ltd.). Team members include Katy Karnell (Ulster University), Joachim Tan (SGUL) and Abigail Reid (SGUL). 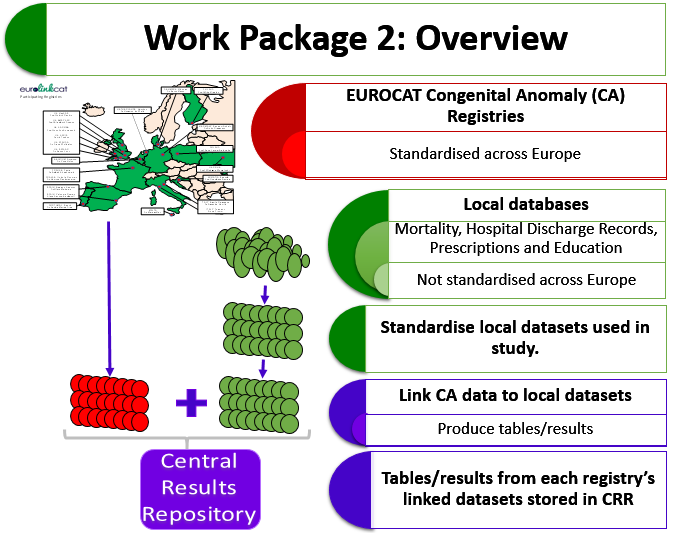 to create the EUROlinkCAT website including interactive tables from the Central Results Repository.